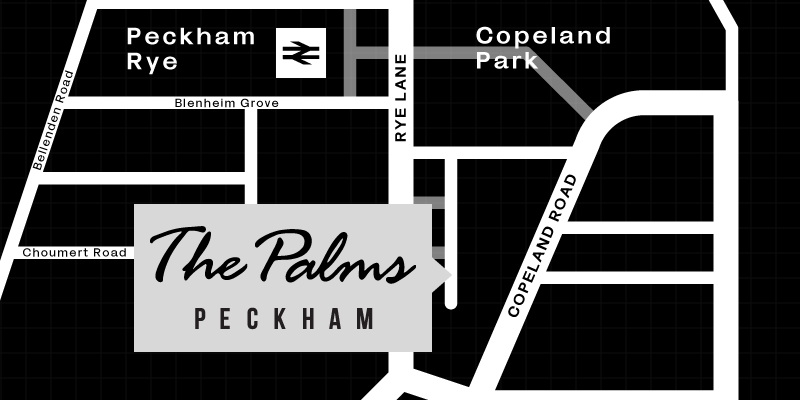 The Palms is located just behind Rye Lane in Peckham. It is a 4 minute walk from Peckham Rye Station. If you are coming from the station, turn right on Rye Lane, then left at Atwell Road.